WOW5 Coaster Metal is like a puzzle ring, but then flat. 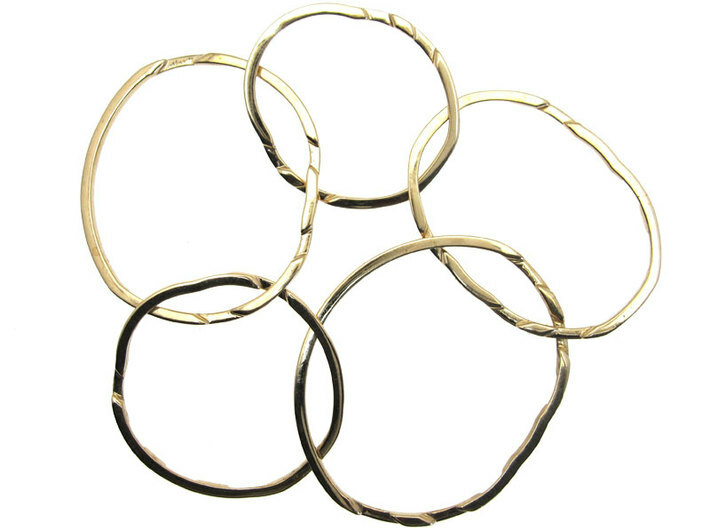 It is a puzzle assembly of five rings. 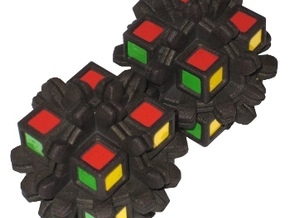 The object is to scramble the puzzle and then solve it. 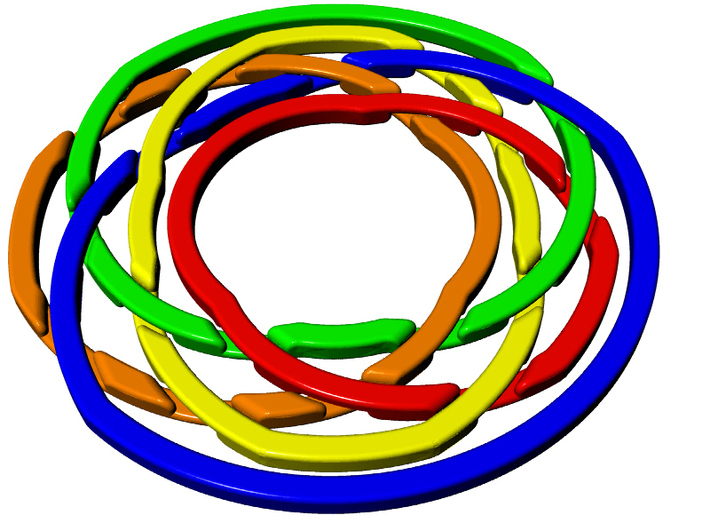 It is similar to a puzzle ring, but then flat. 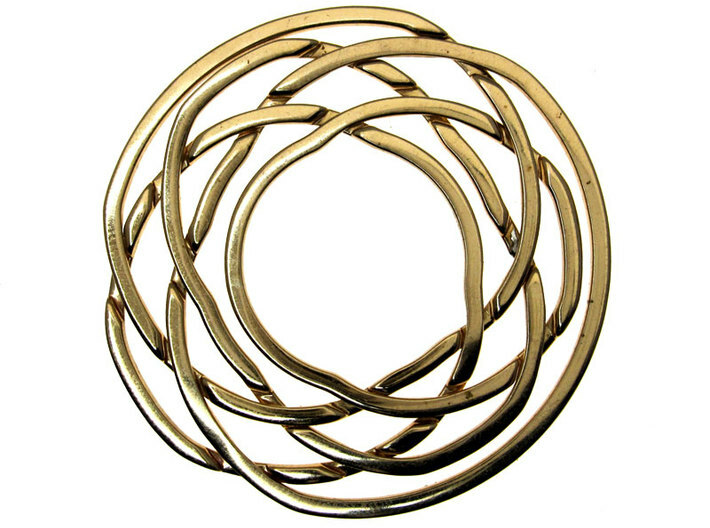 The weave pattern is identical to that of Weave Five, of which Bram Cohen designed the weave pattern. 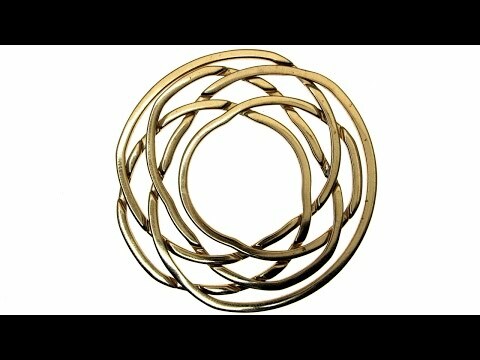 The wrapping-around concept is similar to Carl Hoff's award winning Wrap Around Weave Five, aka WOW5. 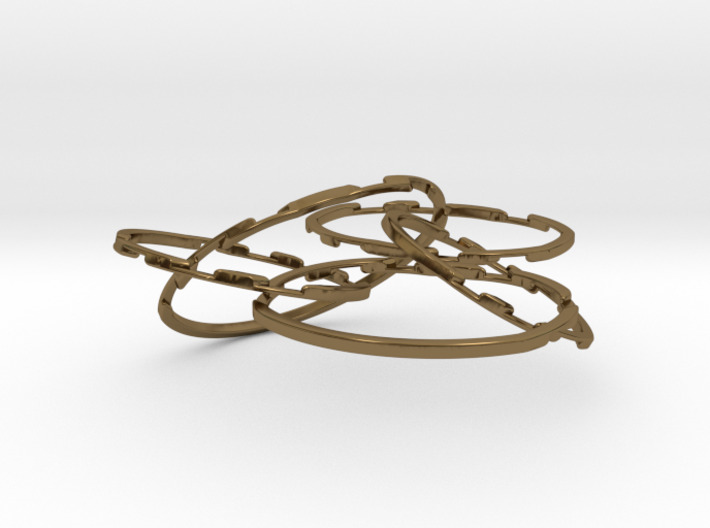 Finally, the idea to turn a puzzle ring into a coaster comes from Serhiy Grabarchuk's Cast Coaster puzzle produced by Hanayama. 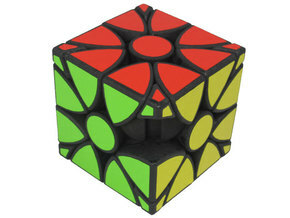 This is the interlocking metal version. 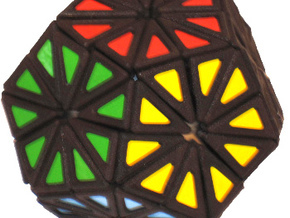 Buy the cheaper plastic version here. 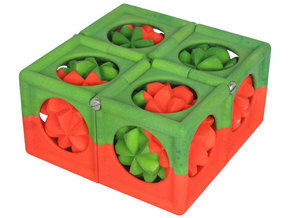 Please order this 3D-printed puzzle from Shapeways at this page (check with Oskar about screws and stickers), or contact Oskar directly if you need any further information.